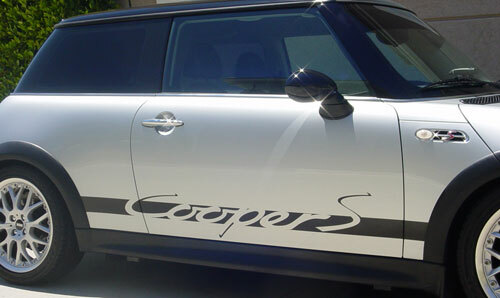 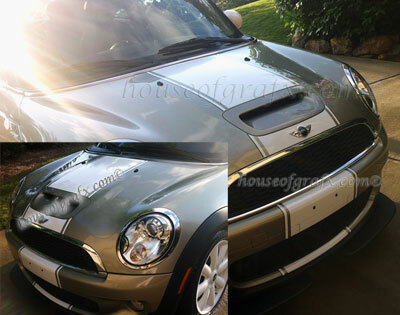 Apply our custom designed COOPER S rocker graphics to any year Mini Cooper S. They measure 70" long x 9" tall in height. 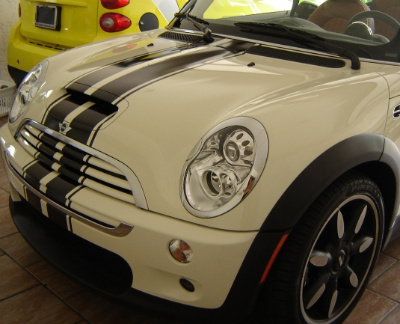 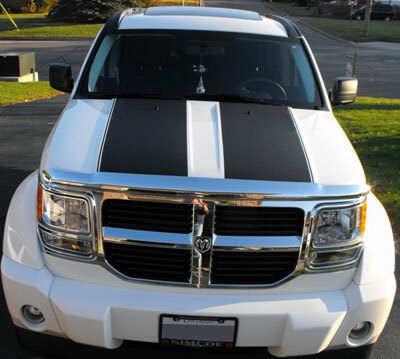 The height is determined from the bottom of the "p" to the top of the "S"
All side body graphics are sold in pairs (one per side) unless otherwise specified. 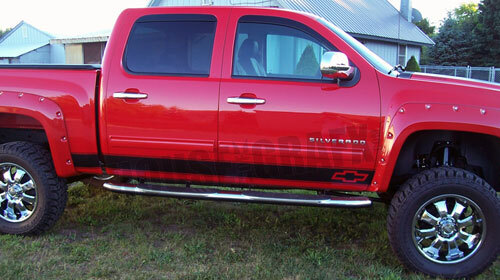 All graphics cut fresh when ordered from professional grade material. 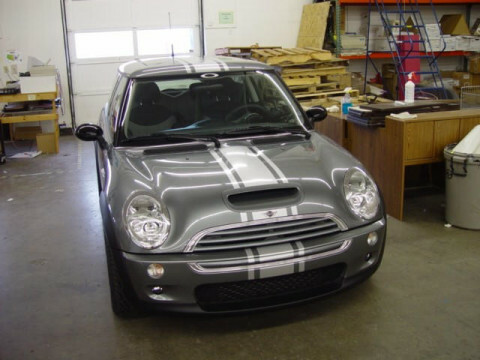 Transfer tape applied to keep everything perfectly aligned.